When my girls were toddlers melba toast was a favorite snack especially when they were teething. We haven’t had any in the house in years though. So it was a welcome surprise to receive these Old London snacks to try out and it came just as we came home from school and everyone was hungry for something to snack on. The girls tore into the boxes right away. Straight out of the box, without any accoutrement, they were fantastic. I especially liked the sesame flavored ones. After we’ve sated our hunger and can think clearly again, we decided to make something to eat with it. After some scrounging around in the pantry, we came up with this deliciously warm spinach artichoke dip, made with canned artichoke hearts, frozen spinach, cream cheese and mayo. It was scrumptious! We ate so much, we didn’t want anything else for dinner. We went straight to dessert. LOL! After our appetizer feast, I wished we didn’t eat the packages so fast. When I visited the Old London website, I found the recipe section with some very interesting recipes including one for Tiramisu Melba! At this point, are you wondering yet what ALOHA! has to do with a product called Old London? I sure was! Well what this blog tour is all about is not only to tell you about the great snacks that are delicious and good for you, it is also to tell you about the Aloha Old London Sweepstakes. Old London will send one lucky winner and a guest on a once-in-a-lifetime vacation to the energizing island of Oahu in the Hawaiian islands. While soaking up the beautiful Hawaiian sunshine, experience everything this tropical paradise has to offer with dinner for two at Tropics Bar & Grill at the Hilton Hawaiian Village Beach Resort & Spa, one Hawaiian Lomilomi Massage at Mandara Spa at the Hilton Hawaiian Village Beach Resort & Spa, a private cooking lesson at the award-winning Chef Mavro restaurant, two Alii Luau packages at the Polynesian Cultural Center, and surfing lessons at world famous Waikiki Beach. The four-day, three-night, all-expenses-paid experience also includes air travel and accom-modations at the Hilton Hawaiian Village Beach Resort & Spa in Waikiki. To enter the sweepstakes, visit the Old London Facebook Page. Orbtiz coupons can be applied to a Oahu vacation if you are not the lucky winner. 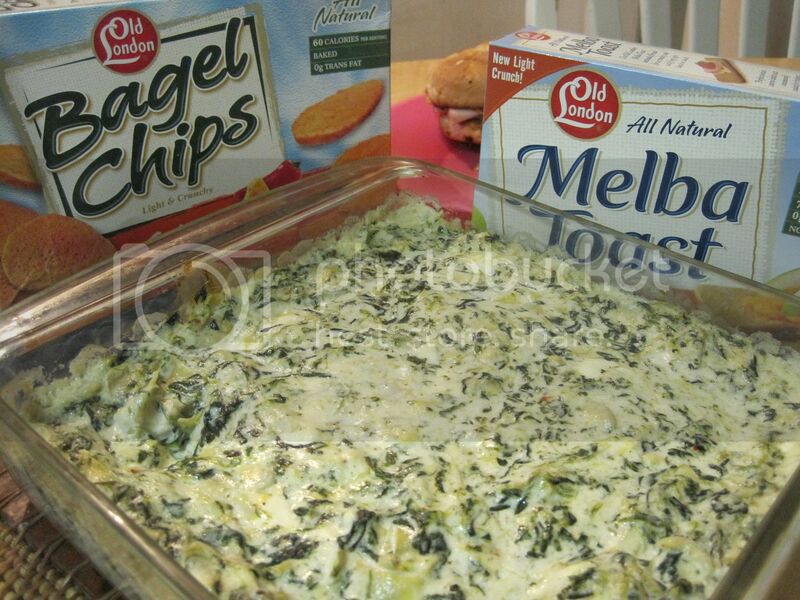 I love spinach, so this recipe for the spinach dip sounds so good. A must try for me. Perfect for summer parties in the backyard. That spinach dip looks really good.